Today I am going to tell you how to make a gift basket on the run… you know… in the event you are being chased with an ax or something. The other day I had to make a last minute gift basket for a coworker. It was Tuesday night and I had all of one hour to do this. In my hunt for gift baskets I realized that these things are only in stores twice a year, and unfortunately this isn’t one of those times. No big deal, I can make my own! They had some small baskets in the children’s section. I found one that had Toto from The Wizard of Oz in it. It was cute, but I would have to remove him from it. 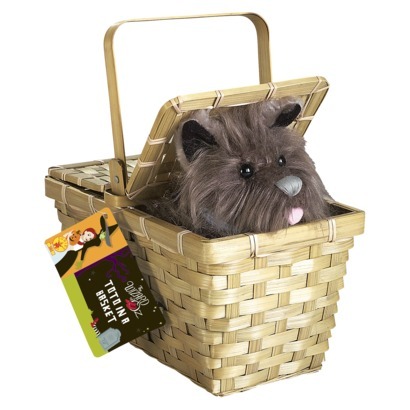 I am sure the kids would love a new stuffed animal, but I think the basket was too small. 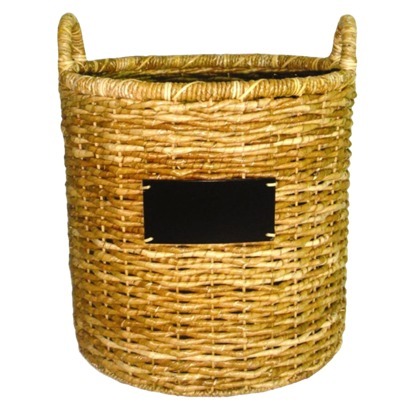 After circling the store in search of any other basketry items I had a brilliant idea. As I often do in times of panic. 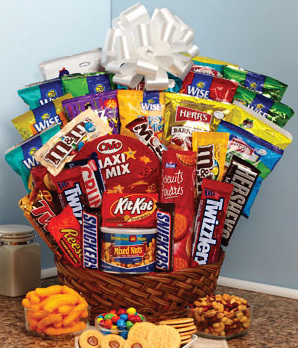 I mean, what is a gift basket? Does it really have to come in a basket? Why can’t it be a gift container? I found a beautiful little bucket. Perfect! Then I went to candy aisle and picked out a bunch of Ghirardelli and Lindor Truffles chocolates, along with some other of my coworker’s favorites, and filled the pail nicely. She loves Almond Joys, and coincidentally so do I…. so there may be a few pieces missing. Granted all this business took about an hour, I wasted a lot of time trying to find the traditional basket making materials. So next time you have to make a basket on the run, head straight for the grocery section!